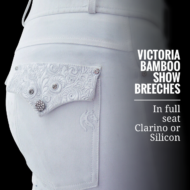 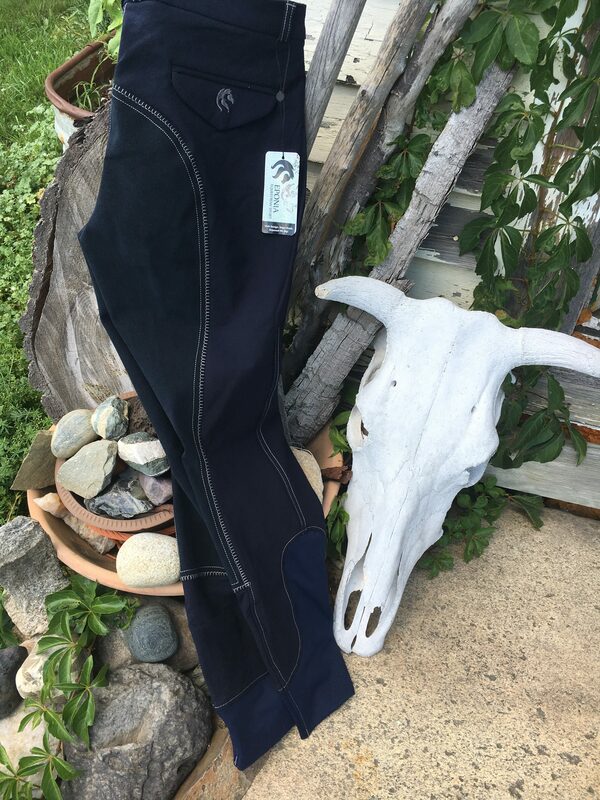 These Mens Deep Blue bamboo breeches us available in men’s fullseat or silicon knee patch. 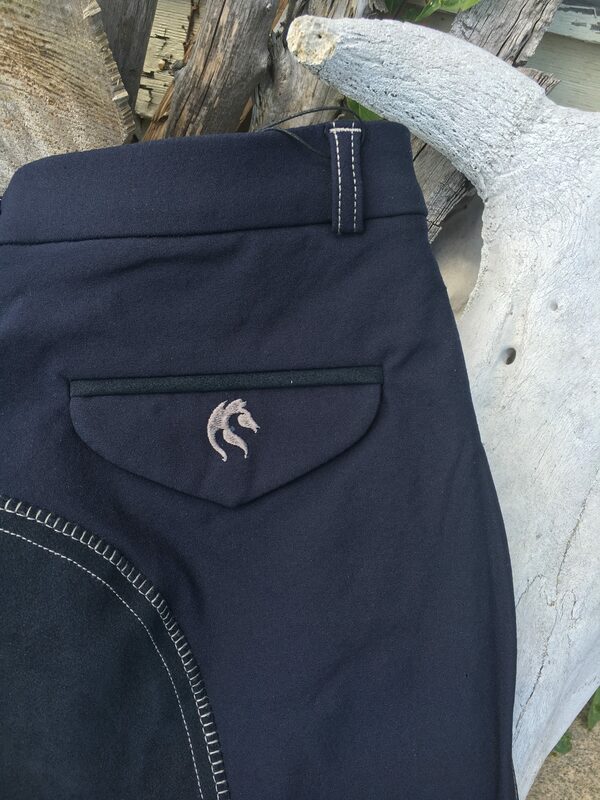 Two full functioning pockets in front and back. 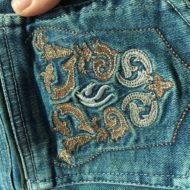 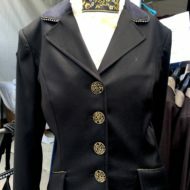 The back pockets are very discrete, showing only flaps with small horse logo on right pocket ( shown here in black with light color embroidery for better viewing but this is a deep navy blue fabric with blue thread embroidery ) and thin strip of leather detail. 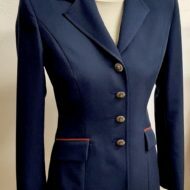 Contrast stitching is fashionable but not flashy in a blue thread. 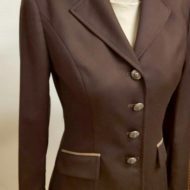 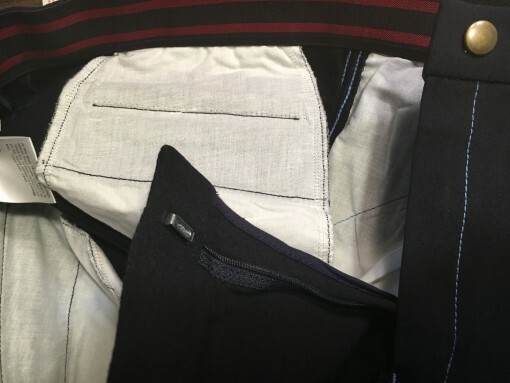 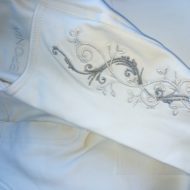 This is a tailored product and high quality ( see pictures of inside of breech ) A very sophisticated yet modern style riding breech for men.